Ideal for every cowboy, cowgirl and cowpoke this side of the Mississippi! 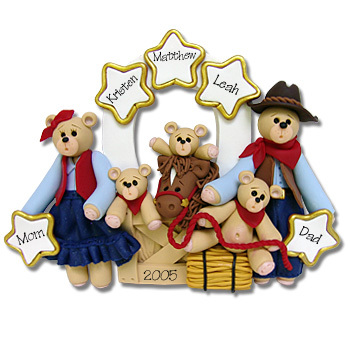 This is a great personalized ornament for any horse loving family. It is also a great personalized gift for any ranch owner.Just personalize with the ranch name instead of the family name. It comes complete with hooks and satin ribbon for hanging. .